Simonsen Architect was started in 2018 to help Clients envision and realize inspiring spaces. 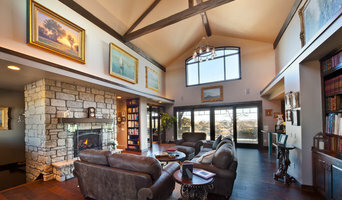 Utilizing years of experience on small to large and complex projects, the firm is focused on client centered service, utilizing extensive construction knowledge, bringing creativity to the design process and implementing high performance practices to realize comfort, beauty and efficiency to the places we create. 25 years of experience as a licensed architect designing custom residential homes, historic renovations and commercial buildings and tenant improvements. We invite you to take a look at some of our completed projects and we hope you will keep us in mind when you are ready to launch the design process to realize a space that inspires you every day! 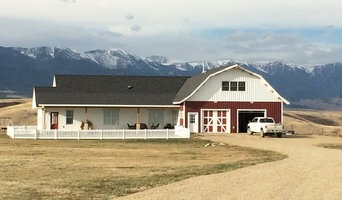 We are a custom home building company serving South Central Montana since 1996. We not only build custom homes, but also do traditional timber frames, post and beam, remodels, historic renovations, and commercial projects. We offer a full array of services for design/build projects from pre-planning, architectural design, on-site project management through project completion. Construction Solutions Inc. is a full-service design-build remodeling company. President and founder Randy Gill has been working in construction design, production and project management since 1987. Randy started his construction career in the San Francisco Bay Area in 1977. With over 35 years of experience, we are confident that we can handle all your construction and home building needs. We are 100% invested in a long-term business relationship with our customers, one solution at a time! In 1994 Randy relocated to Billings with his wife and three children and it has been their home since. At Porth Architects, we listen to our clients. We deliver designs that they find deeply satisfying, since they play an integral role in the design process. A long established architectural firm specializing in custom residential design, from new construction to remodels and additions, we're up for almost any challenge. Andrew Porth, AIA, an NCARB certified licensed architect and LEED accredited design professional welcomes your inquiries. We are a professional Interior Design Firm that work in both the commercial and residential markets. Our primary focus is for our Healthcare Design clients, and that experience carries over to our other commercial clients, and residential clients as well. We love helping our clients realize their design goals, and beautifying the world while we're at it! We are a full service new home builder and remodeling company specializing in energy efficient construction. Owned by Rick Barta, we have been in business for 35 years in the Billings Montana area. Our goal has always been to first provide a quality project for our clients. Our clients are often people who have dealt with the faster paced companies and want the personal on site supervision, attention to detail, and integrity that we have to offer. Your project will be completed with the lasting value and excellent craftsmanship. All work is warranted so you can rest easy and enjoy your new home. We can develop a plan for you and recommend financing options. 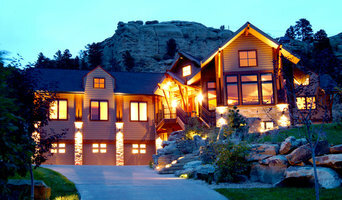 We have experience in low energy homes, timber frame and log homes, conventional homes and remodeling. Please check out our other pages. Dee Dee Hilton lives in Billings, Montana with her husband, and two teenage boys. She has worked with several friends, clients, and small businesses in her area bringing new and refreshed design ideas to their homes, yards, and surroundings. She is an artist, and had done many personalized paintings for friends, clients, and charities. Her experience spans many years of showcasing her talent in several homes she and her husband have built, to a recent large re-model in their current home. 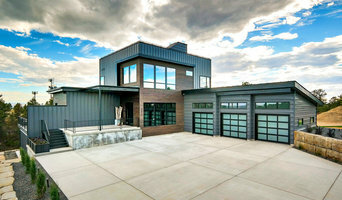 Kenmark Construction, a Billings, Montana home builder, was formed with the belief that client service and satisfaction are priorities above the bottom line. Kenmark projects are built by professionals who have learned and share in this philosophy. We know you are very busy, and we love our business. These concepts converge as we provide a dedicated turnkey operation to make your job easier. Kenmark Construction Corp. was established in Billings, Montana, in 1990. A major reason for our growth is repeat business received from satisfied owners. From fast-track scheduling to roll-out programs, our team of professionals takes great pride in our full-service approach to getting the job done right, on time and within budget. We are proud of this record and our reputation for high quality construction. As a full-service General Contracting and Construction Management firm offering a wide range of home building, retail, commercial, tenant improvement and restaurant construction, Kenmark Construction has proven itself to be a company that provides unequaled service and the capability of minimizing our client’s risks. This Billings, Montana home builder’s strength lies in our capability to provide complete services in a variety of markets. Accessible Home Solution's vision is to help our aging and special needs citizens by transforming homes into safe, age-friendly housing and lifelong infrastructures. We have CAPS(Certified Access Professional Specialist) and CEAC (Certified Environmental Access Consultant) certification to ensure our clients receive knowledgeable expertise for their specific circumstances. Our mission is cultivating a healthy environment that will economically inspire more independent, dignified lifestyles for our aging and special needs citizens in the community they know and the home they love.